The program for which you have enrolled is not more than a period of 6 months. The applicant should display financial stability for paying fees for its curriculum, reside in Canada for the stipulated time and liable to pay transportation charges. The candidate should prove its medical fitness. A Canada immigration officer is appointed for monitoring your approved stay till the end. How can Canada Study Visa help the applicant in the long term? Work Permit is given to the applicant through the University/Institute. An added advantage is that the family members/spouses can work with with the work Permit issued in the tenure of the Study Visa given to the applicant. 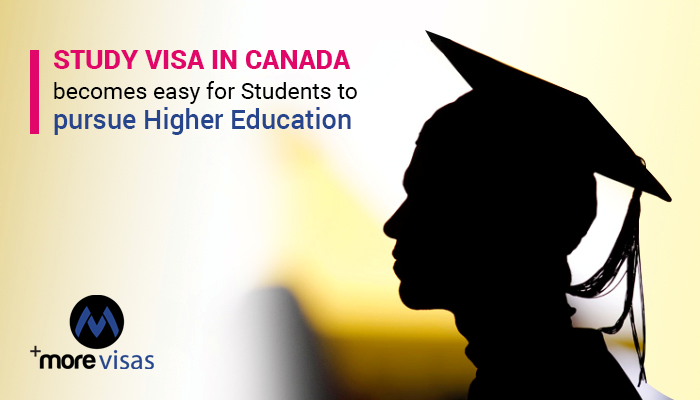 The maximum period for which the Canada study Visa can be issued is 3yrs under any PG- Post-graduation program which is lengthy regarding the stay for the applicant. The Canada Study Visa is often called as Study Permit require certain valid documents which are a passport, Letter of acceptance, i.e., a kind of NOC, financial evidence, test marks, Work experience certificate, medical fitness report, any scholarship availed.